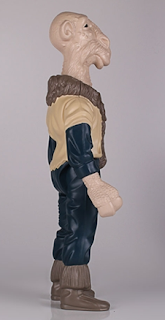 Gentle Giant Ltd. has been revealing many amazing exclusives for San Diego Comic Con 2013 and today would be a reveal we have been waiting for. One of rarest Star Wars figures to be released and that we were never able to get as kids will be now in our collection Jumbo sized. 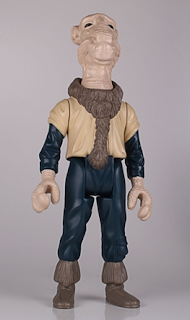 Gentle Giant has just announced the SDCC 2013 Star Wars Yak Face POTF Jumbo Kenner figure! Digitally scanned from mint 3 3/4" Kenner originals and reproduced in scale to the rest of the jumbo Kenner line. Nothing has been overlooked. Roto and injection molded and made of durable plastics, this fully-articulated jumbo figure includes a faithfully reproduced Skiff Guard Battle Staff. 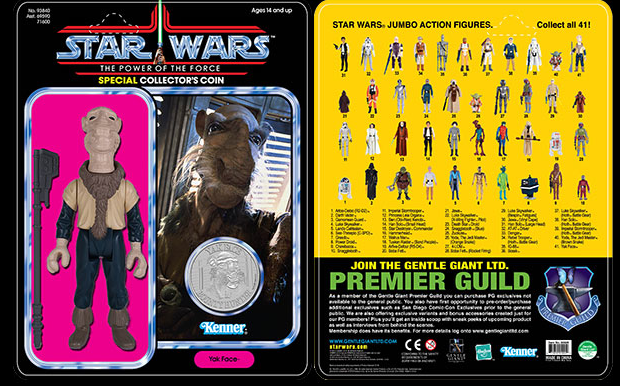 That's not all, this classic Kenner creation comes packaged on a 1984 Power of the Force inspired blister card, featuring original artwork and a replica 3" scale collector coin, in a re-sealable plastic outer shell to help protect and display. 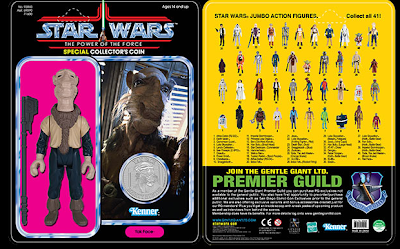 SDCC 2013 Exclusive Gentle Giant Star Wars Yak Face POTF Jumbo Kenner figure is up for Pre-order to PGM members for $80!